Why Am I A Vegan? Impossibly delicious to some of us, the mighty karela, also known as bitter gourd or bitter melon, is definitely an acquired taste. But here’s a surefire way to fall in love with this spiky, rather strange-looking vegetable known to be one of the healthiest you can eat. 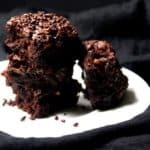 In most Indian kitchens, cooks, in an effort to get their families to eat this vegetable prized for its blood-sugar-fighting, cholesterol-lowering properties, add to it tons of sweeteners like jaggery or stuff it with all kinds of goodies and then deep-fry it. The idea is to mask its magnificent bitterness which some people, and especially kids, abhor. But all that work pretty much ends up working at odds with the natural healthfulness of the karela. 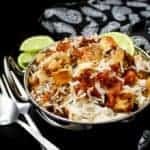 My recipe finds a way out of that dilemma by using a stuffing that’s as healthy as it is delicious: tomatoes, onions, and peanuts, along with the fire of some simple spices and the rich sweetness of a smidgen of jaggery. I then pan-fry the karelas in a tiny bit of oil (you could even use a spray), like I would my eggplant in Bharli Vangi. This makes the karela tender and perfectly wonderful. One word of advise: lots of people are tempted to peel the karela to reduce its bitterness, but I strongly advise against that because why waste a good thing? And if you find that you cannot have enough of the karela after trying this recipe, here are some other great and healthy ways too cook it. Gotta run, but here’s the recipe. Enjoy, all! Heat 1 tsp of oil in a skillet. Add the onions and fry until brown spots appear. Add the tomatoes, chilli, turmeric and coriander powders. Fry until the oil starts to separate. Add the peanuts and jaggery and stir-fry until the jaggery's melted. Add salt to taste, coriander leaves, then turn off the heat and set aside. Prepare the karelas by lopping off the ends and making a vertical slit all the way down one side, taking care not to cut through. With your fingers or a melon baller, remove all of the thick, white seeds that run through the length of the vegetable. Discard the seeds. 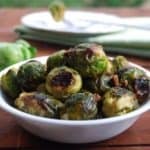 Spray the karelas with some oil and place in a preheated 350-degree oven for 20 minutes or until they become a little tender but not cooked through. Heat 1 tbsp of oil in a cast-iron or non-stick skillet. 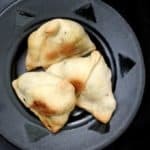 Place the karelas, without overlapping, in the skillet and cook over medium-high heat, turning after each side becomes lightly golden-brown and is tender. To ensure the karela is well-cooked, pierce it with a knife. If the knife goes in without any resistance, it's pretty much ready to eat. Enjoy hot with some plain old dal and rice. (C) All recipes and photographs copyright of Holy Cow! 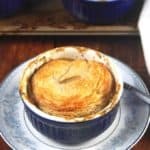 Vegan Recipes. 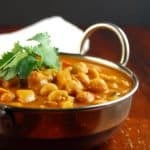 I cook and eat simple, tasty and nutritious plant-based food in my Washington, D.C. kitchen, but I never fight a craving for samosas or French fries. Follow me on Pinterest, Facebook and Instagram, and read more about me here. This is my (R)oomie’s favourite!!! Oh my goodness, that looks yummy! 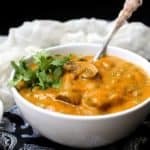 This post reminds me of the one time I ate an absolutely delicious bitter gourd curry. Vaishali, have you been to Saravana Palace in Fairfax, VA. Their buffets are really good, specially on the weekends when they have tons of items. The best thing I like about Saravana is that they change their buffet menu every day. But it also works against you sometimes..
Once Saravana had the most amazing stuffed karavila (in Sri Lanka bitter gourd is known thus) dish in the buffet. As far as I could tell, they weren’t fried, nor could I detect any sugar or other sweetner, if they were used, it wasn’t overpowering. The stuffed bitter gourd was bathed in a very thick yellow curry sauce. They weren’t skinned, but didn’t have any bitter taste. Instead, they were cooked to bring out the most amazing, and very desirable taste out of the them. Because they change the menu so often, I never saw the dish again. I’m off to go buy some lotus seeds to try my hand at your lotus seed dish. Hope I can find them in the international supermarket and don’t have to trek to the Indian store. Its has been ages i have these stuffed bittergourds,sooo yummy..
yummmmmmmmmy and tempting bittergourd….wonderful clicks!! 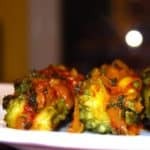 yummy looking dish vaishali.. bookmarked will give it a try. stuffed karela is looking fabulous, we sometimes stuff it with scraped coconut and peanut mix, will try yours for sure. 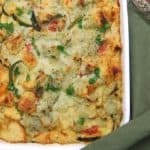 Been looking for a tempting recipe for bittergourd and here it is! Thanks for sharing. I’ll def. try it out soon. 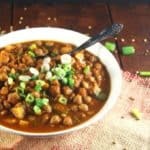 As a newbie in India, I find it hard to come along (healthy) vegan recipes, so very grateful for your blog. Thanks! Anonymous, I haven’t been to Saravana Bhavan but I really want to go, especially now. But sorry they don’t have the wonderful karela dish anymore– would have loved to try that. Barbara, thanks for your kind words. I love karela and over the years have come to appreciate the bitter flavour as well…this stuffing with the tomato is unique..
love this recipe. i have bookmarked this page to try. wud luv to have u follow me link to my page. Recipes from scratch for smart and busy cooks. 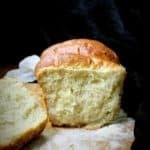 Sign up now for new recipes.